Today’s headlines may seem to underscore the cultural differences among European countries, but the emergence of a distinctly European contemporary culture is undeniable. European citizen, of French nationality, Bulgarian by birth and American by adoption, I am not insensitive to harsh critiques of Europe, but I also hear the desire for it and its culture. Despite facing financial crisis, the Greeks, Portuguese, Italians and even the French, do not question their European belonging; they “feel” European. But what does this sentiment mean? I believe European culture can provide the means to lead European nations to a Federal Europe. But this begs the question: which European culture? In opposition to a certain cult of identity, European culture never ceases to unveil a paradox: there exists an identity—mine, ours, but it is infinitely constructible and de-constructible. To the question “Who am I?” the best European response is obviously not certitude but a love of the question mark. After having succumbed to identity-focused dogmas to the point of criminality, a European “we” is now emerging. Though Europe resorted in the past to barbaric behavior (something to be remembered and analyzed incessantly), the fact that it has analyzed this behavior better than others perhaps allows it to bring to the world a conception and practice of identity as a questioning inquietude. It is possible to take on European heritage, rethinking it as an antidote to the tensions of identity: ours and others. Without wanting to enumerate all the sources of this questioning identity, let us remember that ongoing interrogation can turn to corrosive doubt and self-hate: a self-destruction that Europe is far from being spared. We often reduce this heritage of identity to a permissive “tolerance” of others. But tolerance is only the zero degree of questioning. When not reduced to simply “welcoming” others, it invites them to question themselves, to carry the culture of questioning and dialogue in encounters that problematize all participants. This reciprocating questioning produces an endless lucidity that provides the sole condition for “living together.” Identity thus understood can move us toward a plural identity of the new European citizen. Whether it be lasting or not, the national character can, like individuals, experience real depression. Europe is losing its image as a world power and its financial, political and existential crises are palpable. But this is also the case of European nations, including France, one of the most prominent, historically. European nations are waiting for Europe, and Europe needs national cultures that feel pride in themselves. With a depressed patient, the psychoanalyst begins by shoring up her self-confidence in order to establish a relationship between the two protagonists of the cure in which spoken words become fecund again, allowing for a true critical analysis of the suffering. Similarly, a depressed nation requires an optimal image of itself before being able to take on, for example, industrial expansion or a better reception of immigrants. “Nations, like men, die of imperceptible impoliteness,” wrote Giraudoux. A poorly understood universalism and colonial guilt have led politicians and ideologues to behave with “imperceptible impoliteness,” often disguised as cosmopolitism. They act with arrogant spite in regard to the nation. They worsen national depression to then infuse it with a maniacal exaltation that is both nationalistic and xenophobic. European nations are waiting for Europe, and Europe needs national cultures that feel pride in themselves. A national cultural diversity is the only antidote to the evil of banality, this new version of the banality of evil. The fall of the Berlin Wall in 1989 clearly demarcated the difference between European culture and North American culture. It is a question of two conceptions of freedom played out by democracies. Different but complementary, these two versions are equally present in international institutions and principles both in Europe and North America. By identifying “liberty” with “self-beginning,” Kant opens the way to an apologia of enterprising subjectivity, subordinated to the freedom of Reason (pure or practical) and a Cause (divine or moral). In this order of thought, favored by Protestantism, freedom appears as the liberty to adapt oneself to the logic of cause and effect or, to quote Hannah Arendt, as an adaptation or “calculation of the consequences,” to the logic of production, science, or the economy. To be free would be to have the freedom to benefit to the best of one’s ability from cause-and-effect relations in order to adapt to the markets and their profits. But there is another model of freedom, also of European stock. It appears in the Greek world, develops under the pre-Socratics and through Socratic dialog. Without being subordinated to a cause, this fundamental freedom is deployed in the speaking being who presents and gives herself to herself and to others, and in this sense is liberated. This freedom of the speaking being by and through the encounter between the One and the Other inscribes itself in an infinite question, before freedom gets roped down into a cause-and-effect relation. Poetry, desire and revolt are its privileged experiences, revealing the incommensurable singularity (though shareable) of each man and woman. One can see the risks of this second model founded on the questioning attitude: ignoring economic reality, isolation in corporatist demands, limiting oneself to tolerance and fearing to question the demands and identity politics of new political and social actors, not standing up to global competition and reverting to archaic behavior and idleness. But one can also see the advantages of this model used by European cultures and which doesn’t culminate in a schema but in a taste for human life in its shareable singularity. Contrary to the curious, playful, pleasure-seeking child who wants to know where she comes from, the adolescent is less a researcher than a believer: she needs to believe in ideals to move beyond her parents, separate from them and surpass herself (I’ve named the adolescent a troubadour, romantic, revolutionary, extremist, fundamentalist, third-world defender). But disappointment leans this malady of ideality towards destruction and self-destruction, by way of exaltation: drug abuse, anorexia, vandalism, attraction to fundamentalist dogmas. Idealism and nihilism—empty drunkenness and martyrdom rewarded by paradise walk hand-in-hand in this illness of adolescents, which explodes under certain conditions in the most susceptible among them. We see the current manifestation of this in the media: in the cohabitation of Mafia trafficking and the jihadist exaltation raging at our doors, in Africa and Syria. If a “malady of ideality” is shaking up our youths and with it, the world, can Europe possibly offer a remedy? What ideas can she offer? Any religious treatment of this malaise, anguish and revolt proves ineffective before the paradisiacal aspiration of this paradoxical, nihilistic belief held by the de-socialized, disintegrated teen. If a “malady of ideality” is shaking up the world, can Europe possibly offer a remedy? Europe finds itself confronted by a historic challenge. Is it able to face this crisis of belief that the religious lid can no longer hold down? The terrible chaos of nihilism-fanaticism linked to the destruction of the capacity to think takes root in different parts of the world and touches the very foundation of the bond between humans. It’s the conception of the human forged at the Greek-Jewish-Christian crossroads, with its graft of Islam, this unsteady universality both singular and shareable that seems threatened. Are we capable of mobilizing all our means—judicial, economic, educational, therapeutic—to accompany with a fine-tuned ear, the necessary training, and generosity the malady of ideality that disenfranchised adolescents, even in Europe, express so dramatically? At the crossroads of Christianity (Catholic, Protestant, Orthodox), Judaism and Islam, Europe is called to establish pathways between the three monotheisms, beginning with meetings and reciprocating interpretations, but also with elucidations and transvaluations inspired by the Human Sciences. A bastion of secularism for two centuries, Europe is the place par excellence to elucidate a need to believe, which the Enlightenment, in its rush to combat obscurantism, greatly underestimated. 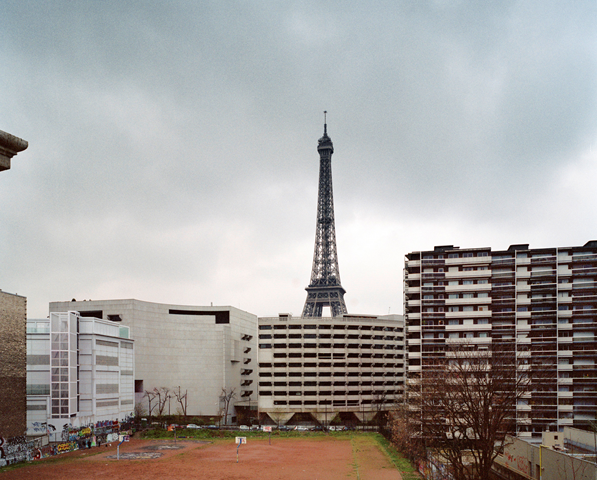 Countering the two monsters—the political lockdown by the economy and the threat of ecological destruction—the European cultural space can offer an audacious response. And perhaps the sole response that takes the complexity of the human condition seriously, including the lessons of its history and the risks to its freedom. 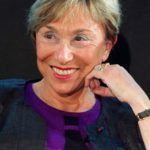 Julia Kristeva is a Bulgarian-born French psychoanalyist, critic, novelist, and philosopher. She has been one of the key thinkers in structuralism. Her influence on aesthetics and feminist discourse reaches across the world.